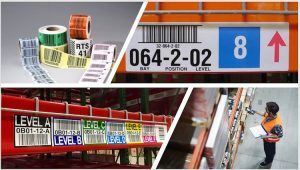 Survey: Barcoding is Most Important Warehouse Technology Investment | ID Label Inc. 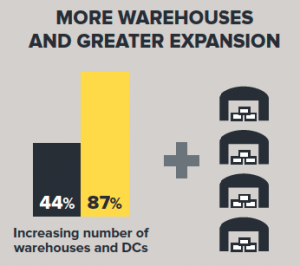 In a recent survey, Zebra Technologies analyzed the state of the warehousing marketplace. It’s clear that retail e-commerce and its increasing demand for faster merchandise delivery is redefining how the supply chain distributes consumer goods and products — and how warehouses and DCs must operate. Eighty-seven percent of survey respondents said they are planning to rollout more warehouses and DCs over the next five years, with 71 percent planning to increase space and retrofit current legacy systems. Warehouse executives said they plan to expand the use of barcode scanning by 67 percent over the next five years. They cite its vital role in enabling efficiency, automation and speed in the handling of inbound and outbound inventory. Next-generation “smart” warehouses are increasingly relying on technology to track and manage inventory. This means equipping staff with new technology is a top investment priority to achieve the desired efficiencies and productivity gains. Barcode scanning tops the technology priority list. Warehouse executives said they plan to expand the use of barcode scanning by 67 percent over the next five years. They cite its vital role in enabling efficiency, automation and speed in the handling of inbound and outbound inventory. 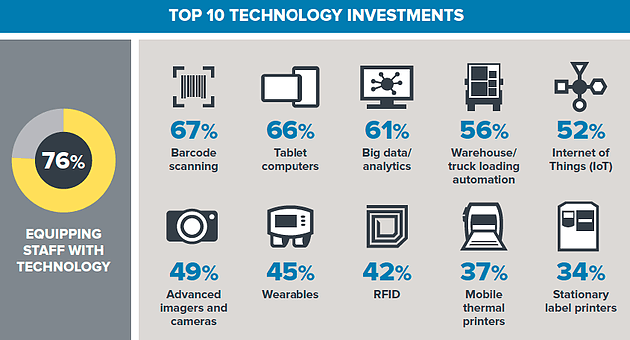 Barcode scanning tops the technology priority list. Warehouse executives said they plan to expand the use of barcode scanning by 67 percent over the next five years. Durable barcode labels for all of your racks, bins, shelves, pallets and totes, with number sequences stored in our custom database for easy reordering. Nationwide installation services that include material and layout recommendations, data file management and planning/ layout. We have extensive installation experience and we use our own fully bonded and insured staff. In fact, we recently installed our one-millionth warehouse label so far this year.